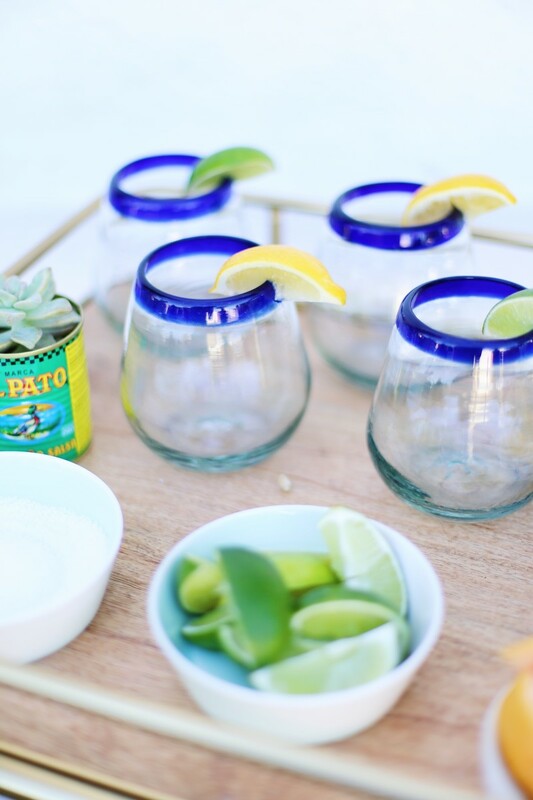 How to set out a margarita happy hour in less than thirty minutes. First off, nice to meet you! My name is Elizabeth and I am a food and lifestyle blogger at The College Housewife. When I met Emily and her team on a recent styled shoot, we instantly sparked content ideas that we knew all of you would love! Cupcakes and Cashmere has always been a long-time source of inspiration for my creative gears, so I couldn’t be more excited to contribute. 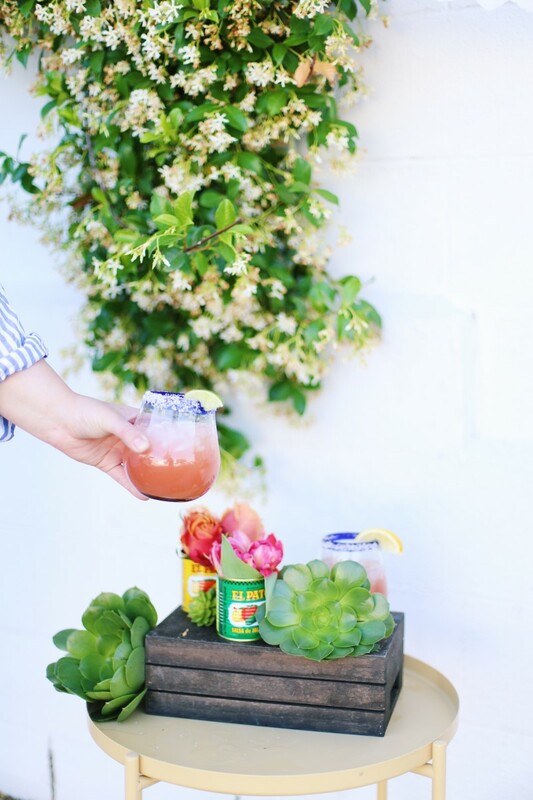 As a stylist and a blogger I am constantly seeking easy ways to amp up my entertaining skills (especially now that it’s patio season!). Like many of you, I usually only have about thirty minutes to get it together before people come over for an at-home happy hour. 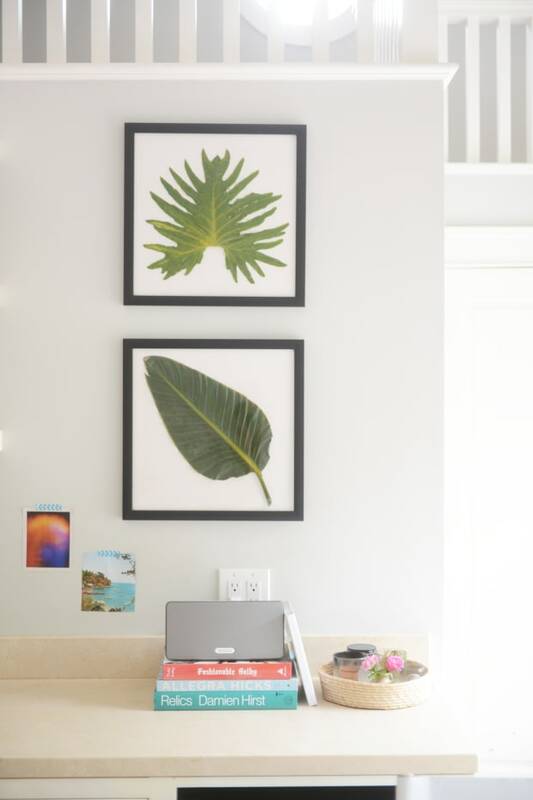 One of my favorite things to do—to make things easier on myself and more fun for the guests—is to set out something creative that gets people active. No need to wait on your friends on hand and foot; let them do the work with a DIY bar that doubles as a conversation starter. 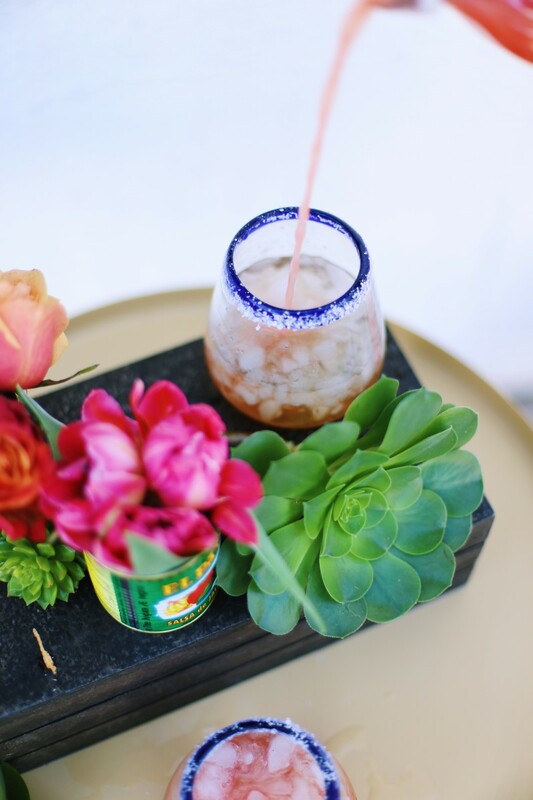 And what better reason to have a get together than for Cinco de Mayo? 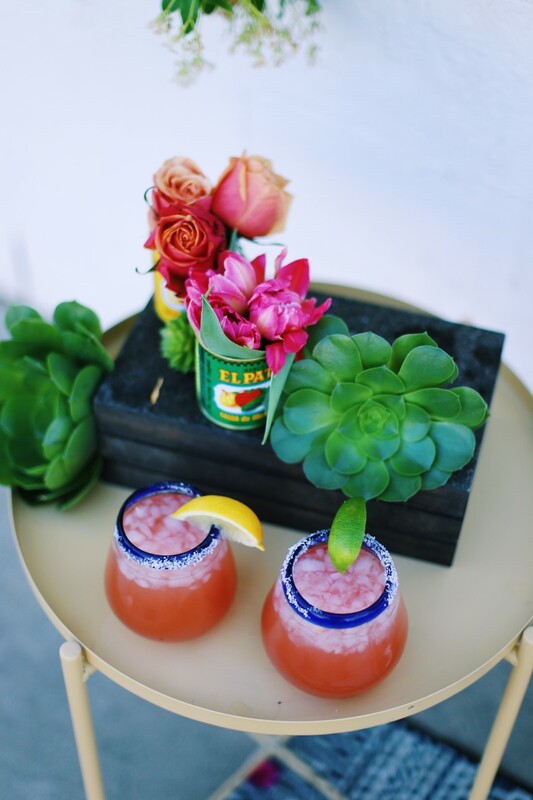 I love any holiday that encourages margaritas! 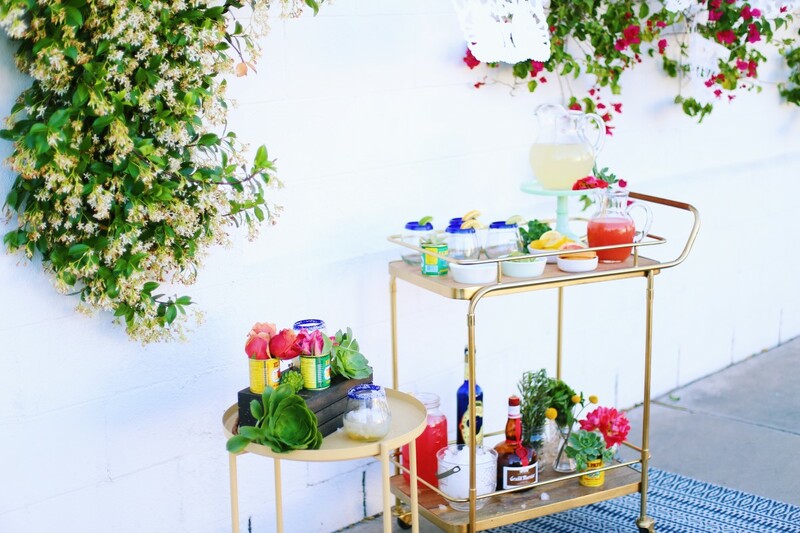 Set the scene: Grab a bar cart or a simple table from your home that you can repurpose. 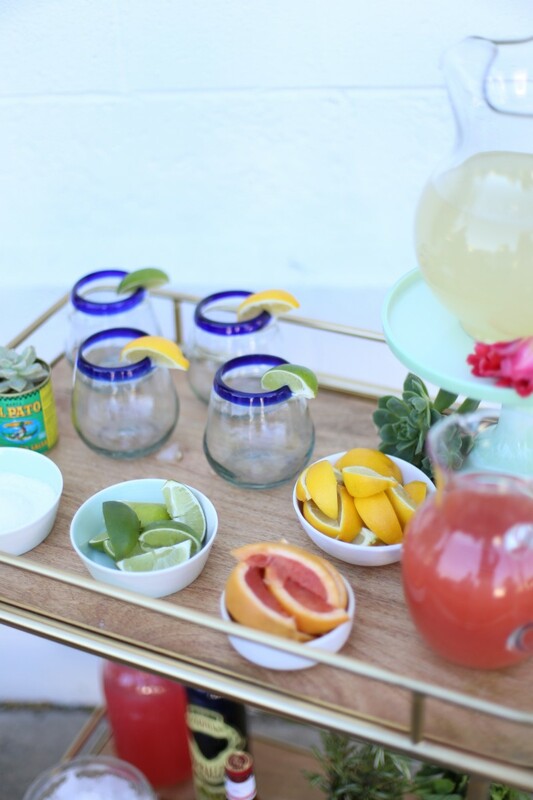 For this we used my normal bar cart and added in a yellow side table from my patio. Chances are, you already have everything you need to create a "bar" at home! Add a little bit o’fluff: Think table runners, throw rugs, and textiles. 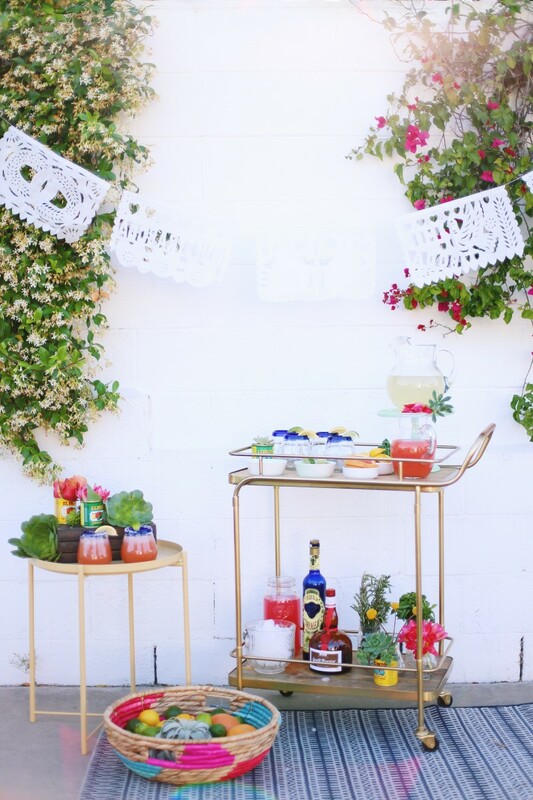 For this we used a patterned rug, a strand of papel picado, and fun baskets and crates. This makes the whole thing look super inviting, so people actually come up and check it out. 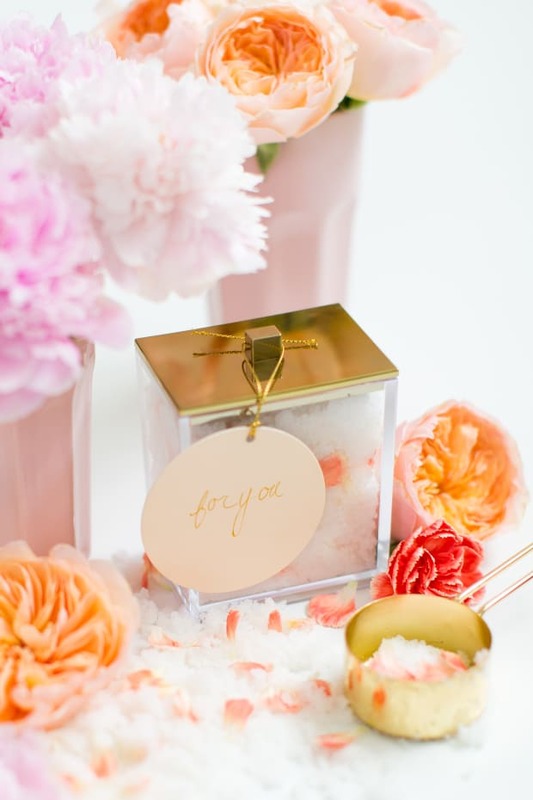 Throw in some flowers: While this isn&apos;t necessary, I added a decorative floral element by purchasing, then emptying (you can save the food in a separate container, or serve it at your party!) 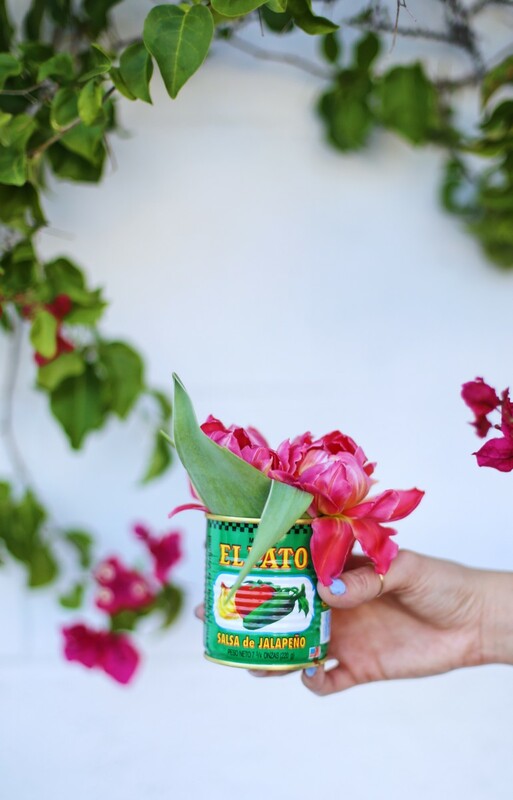 and cleaning cans of Mexican food like El Pato Salsa, and repurposing them as vases, with succulents and bright flowers. 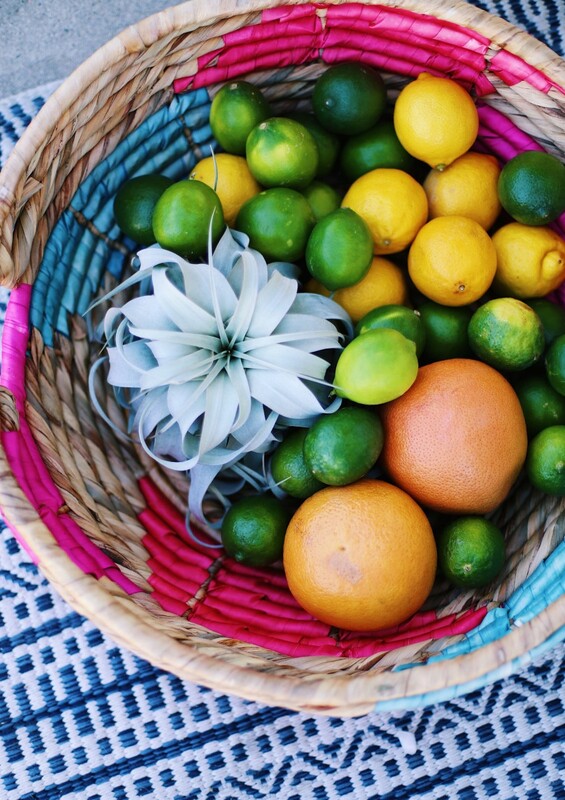 Add some citrus: Lemons, limes, and grapefruit, oh my! Don’t be shy on the citrus. This is a marg bar after all. Cut up tons of citrus fruits for garnish, and don’t forget the salt! Grab some juice: Make it easy on yourself and grab some pre-made juice. There are tons of organic and fresh options now. 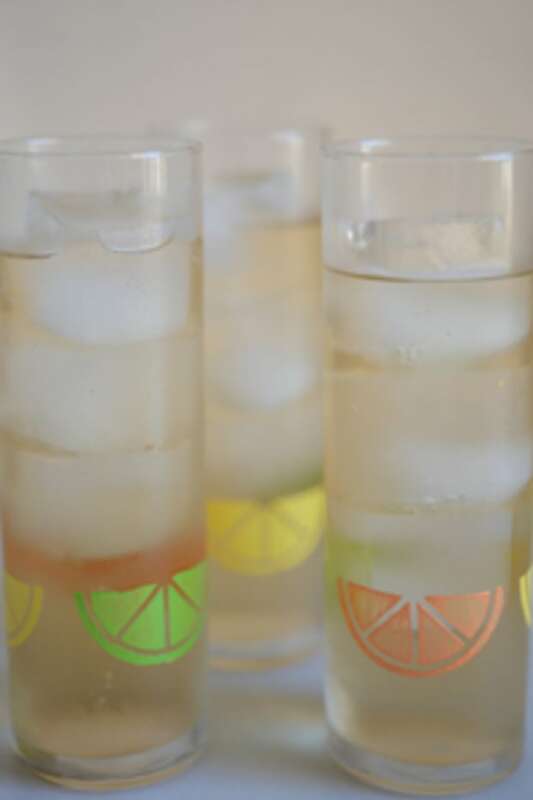 For the basics go with grapefruit, lime, and maybe a fruity lemonade if you have kids coming over. Throw them in your best pitchers or mason jars for a fun arrangement. Don&apos;t forget the ‘bar’ in margarita bar: A standard margarita has tequila and some kind of orange liqueur. Stock up on gold and silver tequila and opt for some Cointreau or Grand Marnier! 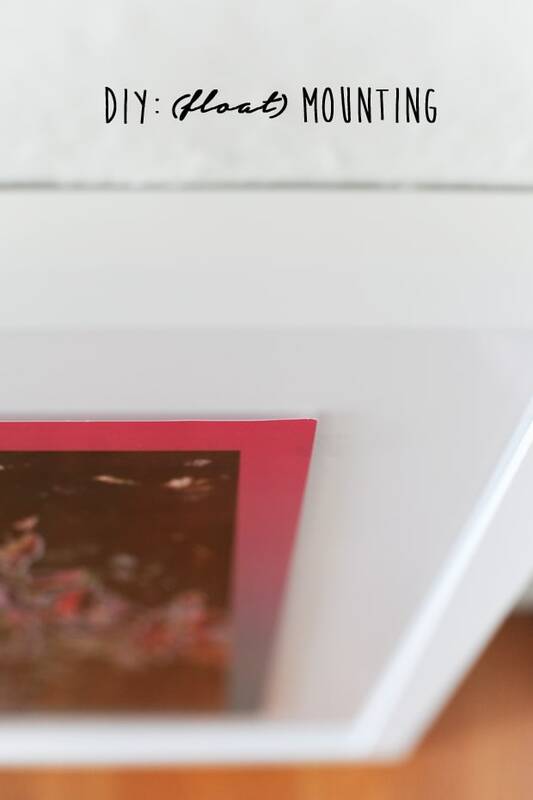 To help your guests along, print out a recipe that you love for some guidance!